IoTivity offers seamless device-to-device connectivity to address the emerging needs of the Internet of Things (IoT) through the open source reference implementation of the OCF (Open Connectivity Foundation) standard specifications. The Tizen.Network.IoTConnectivity namespace provides the means of using IoTivity in Tizen. You can handle the resources between a server and client. The server is responsible for creating and providing resources, and the client can access and control those resources through requests. Entities in the physical world, such as a light, a fan, or modules of a home appliance, are represented as resources. You can manage the IoT resources with the server, which can create resources and later destroy them. If the resource created by the server is discoverable, the client that knows the resource type can find the resource and access its information. PUT request: Ask the server to update the resource representation. The server receives the request, processes it, and sends a response to the client. The client can check the result and the response. If the server resource is observable, the client can register an event handler to observe the resource. When the resource state changes, the server notifies the client through the registered event handler. Create the resource types by creating a new instance of the Tizen.Network.IoTConnectivity.ResourceTypes class. On the client side, find resources and retrieve the remote resource handle using an event handler registered for the ResourceFound event of the Tizen.Network.IoTConnectivity.IoTConnectivityClientManager class. On the server side, the OnGet() method (which was defined when registering resources) is called when a request arrives from the client. The request handles are passed to this method. On the client side, handle the response returned by the GetAsync() method of the Tizen.Network.IoTConnectivity.RemoteResource class. Handle the response appropriately. If the response is a success, the resource information can be included in it. Send the PUT request to the server using the PutAsync() method of the Tizen.Network.IoTConnectivity.RemoteResource class. First create the representation and attributes, and set the desired attribute values, and then send the representation using the PutAsync() method. On the server side, the OnPut() method (which was defined when registering resources) is called when a request arrives from the client. The request handles are passed to this method. On the client side, handle the response returned by the PutAsync() method. On the client side, call the StartObserving() method of the Tizen.Network.IoTConnectivity.RemoteResource class. On the server side, your observing request is handled as adding a new observer. 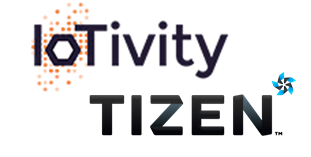 Now whenever a resource changes on the server side, the client receives the information through an event handler registered for the ObserverNotified event of the Tizen.Network.IoTConnectivity.RemoteResource class.